Egyptian official tells Hamas: 'You're endangering our lives,' 'blood of Gaza residents is on your hands.' Sinwar: We didn't fire anything. Egyptian intelligence officials seethed with anger on Thursday night after missiles were fired from Gaza at Tel Aviv, Israel Hayom reported. 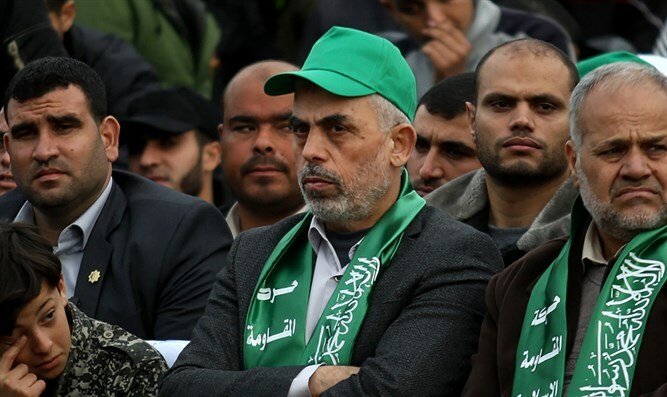 One official, who was one of the Egyptian delegates present in Gaza during those dramatic moments, told Israel Hayom's Daniel Sirioti about the delegation's conversation with Hamas Thursday night. "At the beginning of the meeting, the atmosphere was very relaxed," the Egyptian official told Sirioti. "We had just returned from Israel with answers, we estimated that Hamas would accept them and allow us to begin a stable, long-term peace. A few minutes later, one of the Egyptian delegation's aides entered the room looking worried, and gave the delegation leaders his cellular phone." "'If Israel decides to start a widescale operation in Gaza, this time we're not going to do anything to stop the Israeli attacks. Even if Israel decides to bring down your rule in Gaza by assassinating every single one of you, while they reconquer Gaza. Egypt and its regional allies will not lift a finger to stop the Israeli response.'"